Our team members at ProSource® of Salt Lake know you can transform a basic kitchen into a luxurious living space with the right tools, materials and kitchen remodel products. The kitchen is a place where your client will cook, clean, relax and entertain guests, so we want to connect them with top-notch brands at low wholesale prices. Kitchen cabinets come in many different styles and finishes, making them a product that can easily upgrade any ordinary kitchen. At ProSource of Salt Lake, we offer kitchen cabinets in many different colors, shapes and wood types — all available in prices that can fit within your client’s budget. 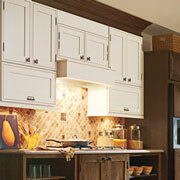 Choosing your client’s cabinet hardware might seem like a simple task to gloss over, but we recommend spending some time finding appliance pulls, end caps, hooks and knobs that fit your client’s design preference. 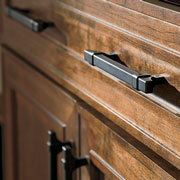 Our cabinet hardware comes in various colors and sizes, so your client can customize their kitchen as much as they want. 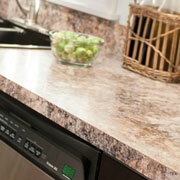 Kitchen countertops are a staple kitchen item that bring the entirety of the room together. Whether your client is looking for countertops made of granite, quartz, or blended and recycled materials, our selection at ProSource is bound to offer something that suits their style. 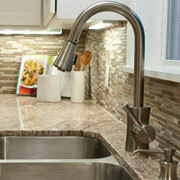 Kitchen sinks are a focal point of the kitchen that are both functional and decorative. 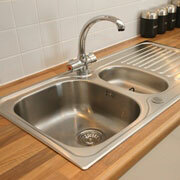 The sink is an item your client will use to wash up, and our selection of sinks can fit any client’s preference. Choose from our top- or undermount sink styles, and help your client decide if they want a large single bowl style or a triple-basin sink option. At ProSource of Salt Lake, our kitchen faucets come in a variety of styles, colors and functions that will help finish any kitchen remodel. Visit our showroom to explore our variety of faucet options, whether your client is searching for a standard model or a more specialized faucet, such as a beverage or pot-filler.